This is a Windows-7 and Windows 10 old list view sorted column bug but in the newest Quad-Dir is this Problem fixes and resolved! Menu ►Extras►List View►"Disable column highlighting eg. select, sort (Win-7)"
Please use ... always the newest Version of the file explorer Q-Dir! Q-DIR - FAQ-58: How can I change the color of the sorted column. Right now the sorted column turns white? Please explain: WARNING Once Q-Dir always Q-Dir? 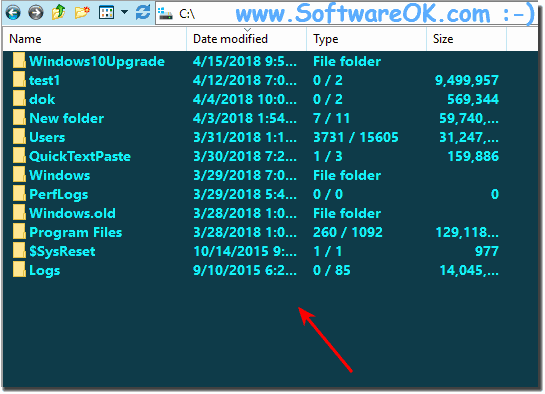 7zip and TortoiseSvn context menus missing in Explorer Views, plus icon overlays? How can I change the color of the sorted column. Right now the sorted column turns white. I HATE white!!!! I also have a feature request. Is there a way to adjust the background color of the column in List view that is used to sort the files? I find it too different from the background colors I picked in the color filter.